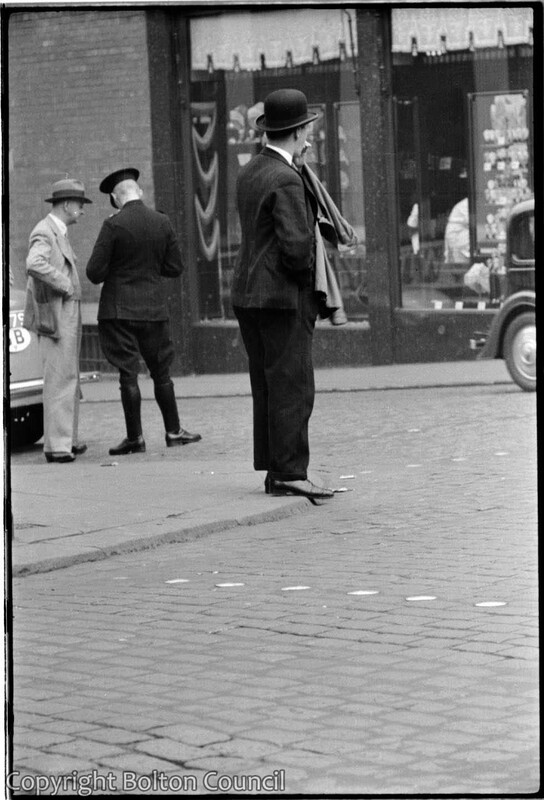 A man stands on the corner of Deansgate and Bridge Street. Is that a traffic policeman ? ( in the jodpers and leggings ) and is he booking that motorist (perhaps for leaving his car there )? Quite a posh car too with the GB plate, in those days a rarity.